The title in itself can send waves of disbelief to many, when it comes to discussing hypertension. Hypertension or blood pressure as we all know is normally treated with medicines. But in about 5 per cent of cases, however, a cause for hypertension can be identified called as secondary hypertension because the high blood pressure is secondary to another disease or disorder and the cause can be corrected by surgery, says Consultant General and Vascular Surgeon Dr. G. Sivakumar. Hypertension is elevated blood pressure. The cause of High blood pressure in the vast majority of cases however is unknown. This is called primary (essential) hypertension. When blood pressure is secondary to another disease or disorder it is a situation of secondary hypertension, the causes are kidney diseases, renal artery narrowing, tumours of the adrenal gland and the narrowing of the aorta. Kidneys are important in the regulation of blood pressure, and kidney problems account for a large share of secondary hypertension. Polycystic kidneys and other kidney diseases can lead to chronic renal failure. The narrowing of blood vessels raises blood pressure. Damaged kidneys also may release hormones and other chemicals that raise blood pressure. In some instances, surgery may be necessary to reduce the size and number of cysts, thus easing pressure from the cysts on the remaining normal kidney tissue. In severe cases, kidney transplantation may be needed. Narrowed kidney arteries due to atherosclerosis and fibromuscular dysplasia cause secondary hypertension. Fibromuscular dysplasia is more common in women, whereas atherosclerosis is more common in men.. The vessel narrowings can produce a hormone Renin that raises the blood pressure in the body. High blood pressure responds to drug treatment in most cases. If it doesn’t respond the obstructions can be opened with catheters and stents similarly to the treatment of narrowed coronary arteries. Sometimes open surgery is necessary to bypass obstructions. 2. Pheochromocytoma is a tumour of the inner layer of the adrenal gland (medulla). These tumours secrete hormones (epinephrine and norepinephrine) and other chemicals. People with Pheochromocytoma complain of spells of sudden severe headaches, palpitations and profuse perspiration during which they appear pale. The blood pressure is markedly elevated during the spell, and some patients have elevated blood pressure between spells. Diagnostic tests include blood and urine tests to detect high levels of hormones. The tumour is removed by surgery and this cures hypertension. Why should you get your blood sugar levels checked periodically? 3. Cushing’s syndrome and aldosteronism. These are disorders of the outer layer (cortex) of the adrenal gland. Excessive amounts of cortisol produced by the adrenal gland cause increased fat deposits on the face (moon face), neck and trunk; and high blood pressure. Treatment is directed at reducing the excess cortisol-secreting tumour by surgery. Excessive secretion of aldosterone from the adrenal gland, sometimes caused by a tumour in the cortex, also can cause high blood pressure. Blood pressure can be elevated sometimes to very high levels. People with this condition, which also can run in families, may have high blood pressure that is resistant to ordinary drug treatment. Treatment is by surgery to remove the tumour in the adrenal gland. Secondary hypertension often is treatable. 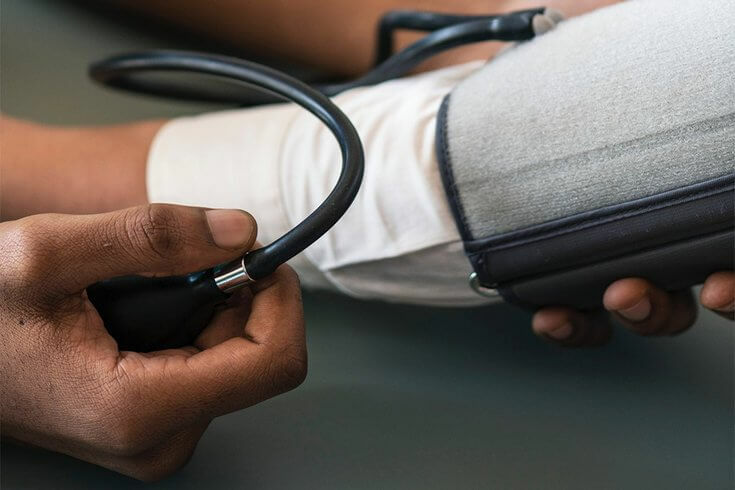 Once the underlying disease or condition is corrected, blood pressure typically decreases and returns to normal and the patients can be off tablets forever.